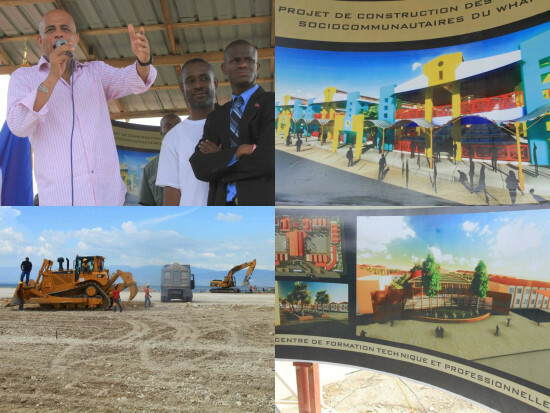 On Tuesday, the President Michel Martelly, officially launched the work of social-community infrastructures of Wharf of Jérémie [commercial port, inter-regional and coastal], located in the town of Cité Soleil. 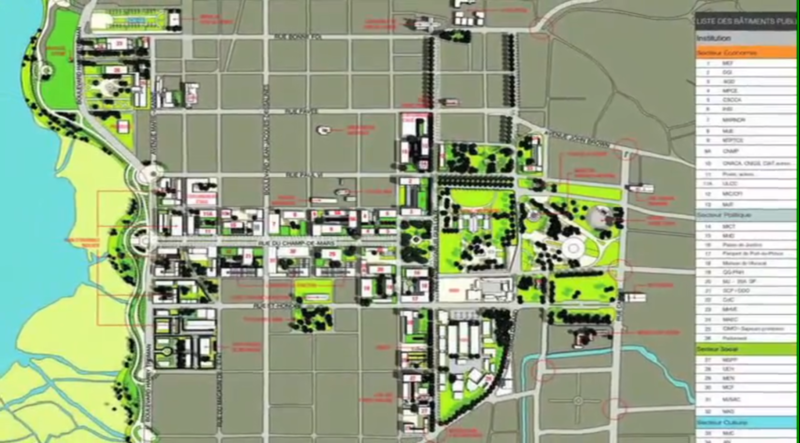 It is a project of construction of a Centre for Technical and Vocational Training of 32 classrooms, of offices of the Port Authority, a green space and leisure (public place, organized beach and center of attraction), and a new modern market. In the presence of Thomas Jacques, Minister of Agriculture, Charles Jean acques, Minister of Social Affairs, Vanneur Pierre, Minister of National Education, Carmelle Rose Anne Auguste, Minister Delegate to the Prime Minister in charge of Law rights and the fight against extreme poverty, and the Mayors of Port-au-Prince and Cité Soleil, and Mayors of Port-au-Prince and Cité Soleil, the Head of State wished to renew its support for the cause of the people of Cite Soleil, too long a victim of bad policies handicapping its development. “I am listening to you !” he recalled them. “It starts with access to education and vocational training, then the creation of administrative, roads and leisure infrastructures adequate to your full potential,” continued the Head of State, while asking citizens to remain calm and not to submit to the provocations anti-development of the community. Funded by the Government of Haiti through the Petrocaribe funds, to the tune of 20, 6 million U.S. dollars, the work will extend over 5 carreaux of land, and will last 24 months. A second phase of the project will rehabilitate the banks of the bay of Port-au-Prince.